See us on the roads in Perth? 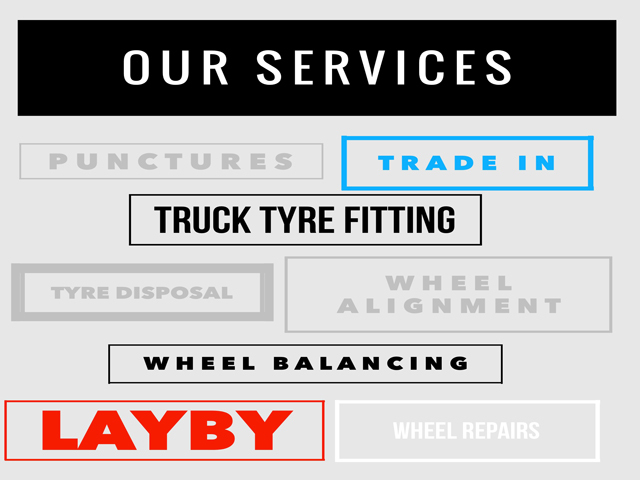 Besides wheels & tyres, we also offer some many other services. Some folk find it handy to pay off their wheels and/or tyres through our layby service. After the initial deposit, you can make regular payments over a period of time to assist with the cost of your purchase. When talking with Roger about your new wheels and tyres, remember to ask about trading in your current wheels and tyres. Your wheels and tyres need to be seen by Roger before an agreed trade in price is agreed. If you have a slow leak or a puncture, call in to see the guys at 58 King Edward Road Osborne Park. No appointment necessary. We offer a tyre disposal service for all sizes of tyres. Get your tyres rotated at Associated Tyre and Wheel while you wait, no appointment necessary. 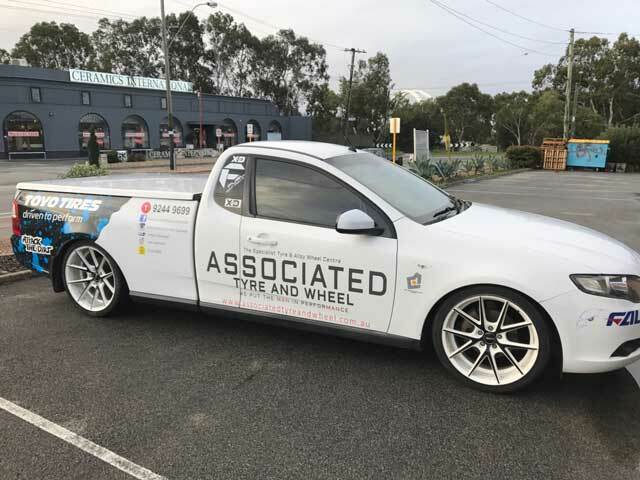 We can arrange to have your wheels repaired at our recommended wheel repairer. We can arrange to have your wheels polished or repainted at our recommended wheel repairer. We can send your vehicle off to our recommended repairer who is qualified in wheel alignment. This can be done while your vehicle is in getting your new wheels and tyres fitted. Tyre and wheel fitting service is available. If you purchased the wheels and tyres through us, then this charge is FREE. 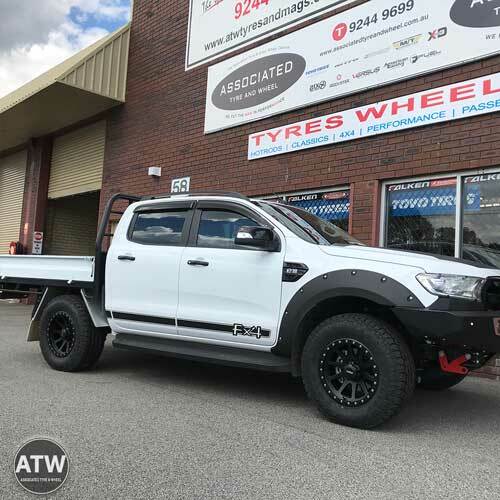 On-site truck fitting service & truck tyre repairs can be arranged - Perth metro area. For your convenience, our recommended truck tyre fitting company will come to you at your yard. We can arrange to get your wheels and tyres freighted to you using your selected freight company. All goods are securely packaged/wrapped and delivered to your location. We stock a good supply of tyre and wheel consumables. Call to find out more. With over 15 years in the tyre and wheel industry, you can be assured to be getting extensive knowledge and expert advice. We are open from 7.30am 6 days a week, making it easy for you to get your wheels and tyres sorted on the way to work or before your day begins. No appointment necessary. For any other inquries about wheels and tyres, call us on 08-92449699 or send us a quick email and we'll get back to you as soon as we can. On The Car Drive Away Prices!